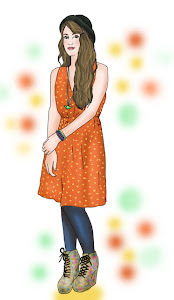 t*rexes and tiaras: friday favourites 057..
Last week's wishlist seemed to be all about embracing the change of season, whereas now that I've found the Miss Patina site, all I want to do is embrace pretty summer dresses for as long as possible. Sarah and I were on a mission during the week to try and find as many UK based clothing brands as we could. 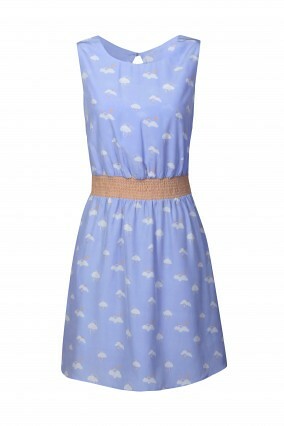 001: How cute is the pretty cloud print on this dress? 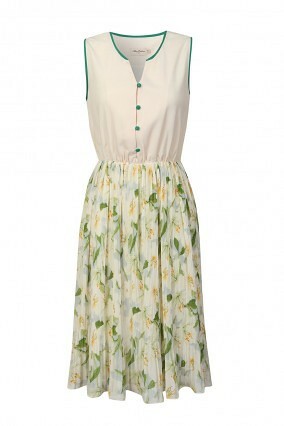 I'm quite sure I don't have any clouds in my wardrobe - well, fairly sure anyway so this would be a welcome addition. 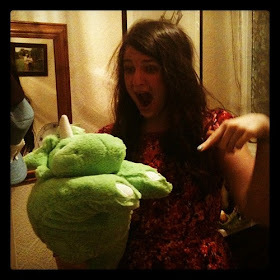 002: This is the dress which first stole my heart when I first clicked on to the site. I was completely drawn to the green piping around the neckline and the fact that it matches the buttons on the bodice, before I even noticed the pretty floral print on the skirt. Really want this! What has caught your eye this week? Do you know of any other UK brands?